Installing 3 season porch windows and developing porch enclosures offer more space, more comfort and more year-round livability. It’s almost like adding another room to your home. With our porch enclosures you can really start to enjoy your outdoor space, often the least-used areas of your home: 3 season porch windows – or sunroom replacement windows, make porch enclosures very attractive to homeowners. We can use windows to develop enclosures for your outdoor deck, pool, gazebo or garage. 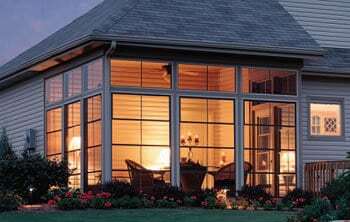 Whether you’re installing 3 season porch windows in an existing screen enclosure or adding it for the first time, you can turn those neglected spaces into year-round gathering places. Porch enclosures let cool breezes in and keep bad weather out, making outdoor spaces more inviting. It gives your home an extra room that can become a private retreat, a spa or rec room, a greenhouse, an exercise room, and more! No matter what life style you choose for your new space, a porch enclosure will boost the curb appeal of your home and does wonders for the resale value.